One of the top games adjudicators in Europe, White Castle Games, loved Gambit's look and feel. "Gambit is designed beautifully - its simplicity conveys a very classic feel, as if it was an ancient game like Chess, Backgammon, or Go. White Castle believes Gambit holds true to its promise to be a challenging, family-friendly board game - we would name its approach "very classic", it is fun to play, and can be called a finished, polished game". My premise was to create a board game that anybody could play without reading volumes of confusing rules, but still be interesting enough to play – something grandparents could play with their grandchildren, or adults could play against each other in any social setting. Gambit combines strategic thinking with luck of the dice to come out on top. It has no language or age barriers, and players of all experience levels start each game on equal footing. I hope you enjoy playing the different variations of Gambit, and look forward to reading your reviews and game experiences. 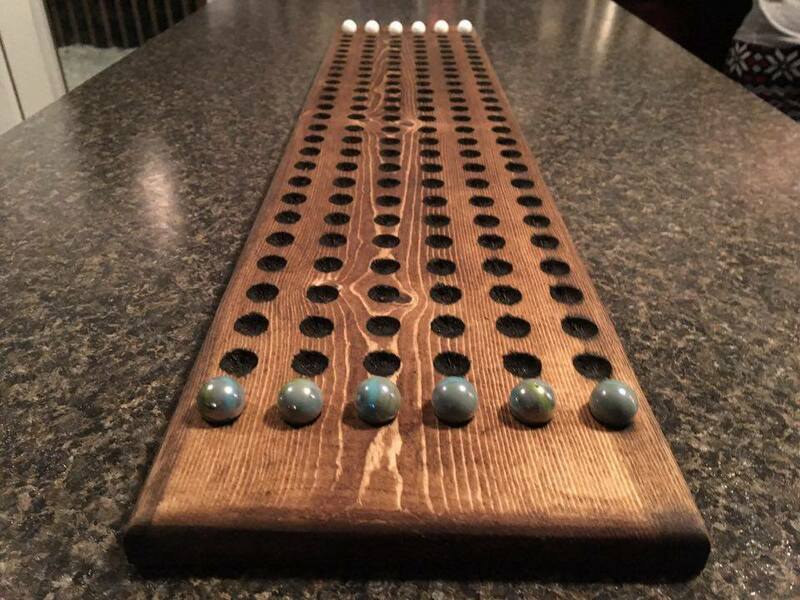 "Gambit Board could be played at parties, get-togethers or simply during quality family time, and would encourage friendly competiotn among family and friends. Gambit might also help children (and adults) develop critical/strategic-thinking and problem-solving skills. A fun, entertaining, challenging and thought-provoking game for individuals of all ages." Every game of Gambit will play out differently, but every round will have three phases of play over the course of the game - the Breakout, the Battle, and the Sprint. Each of these phases of the game require a different level of strategy and luck, and it's not over until the last marble makes it to safety! Right out of the gate, players will decide how many pieces at a time they will advance their path down the board before contacting the opponent's pieces. Once the opposing pieces are in range of each other, the battle begins - players will have to choose if it's in their best interest to run past their opponents or take them out. When players are beyond the reach of their opponents and heading to the end zone, it's a Sprint to the finish line - but be careful not to strand your last piece. The Gambit Board has started a fan page on FaceBook, and this is where you'll find upcoming announcements for new locations carrying Gambit, as well as future tournaments, public appearances, and chances to win!